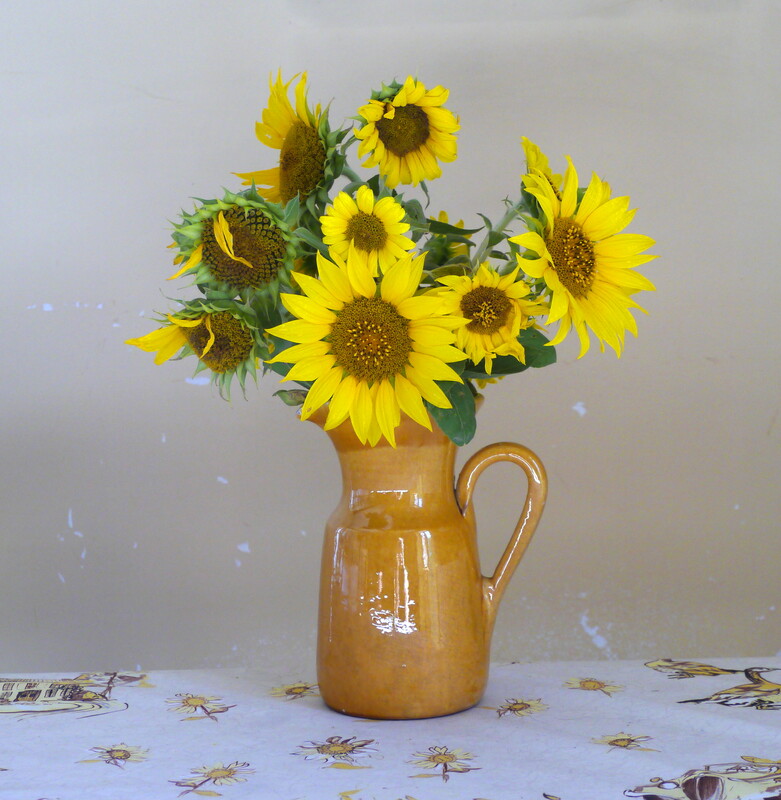 The sunflowers now are in the equivalent of their their twilight years, past their bright yellow prime, all rather brown and withered, heads bowed towards the earth – it won’t be long before we are looking at a freshly ploughed field. Time to capture some final shots, and it seems sunset is the best time. 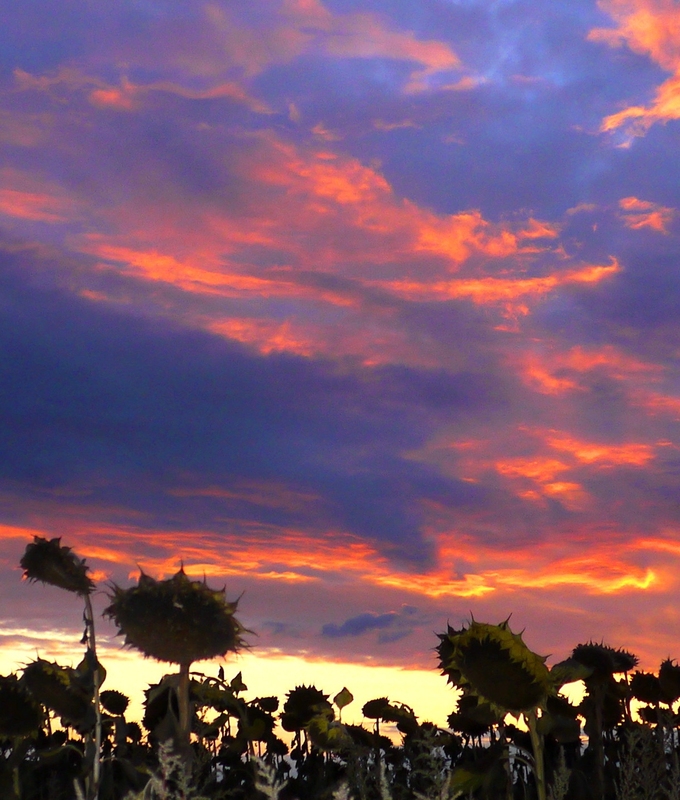 I now realise that sunflowers point permanently in the same direction all day long – namely to the East. The buds are heliotropic (a bit like me) and at the end of the bud stage all plants are polarized to face in the one direction. 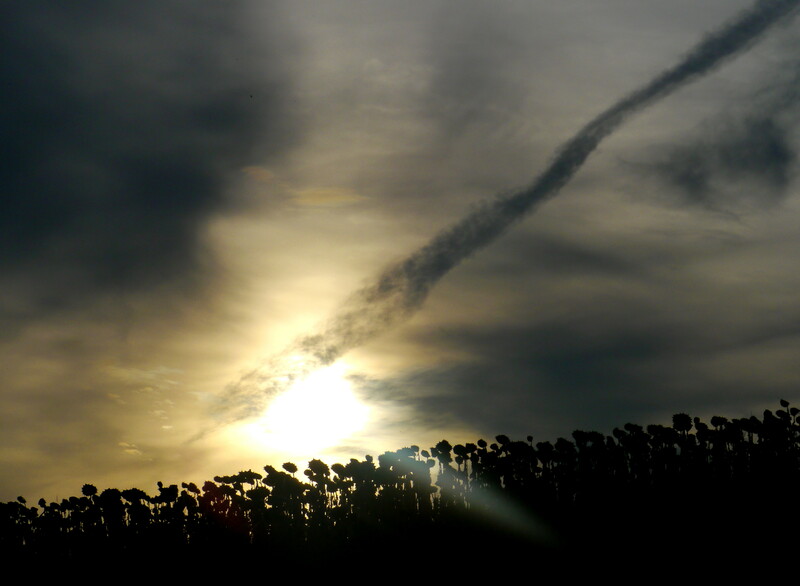 The plants remain in the fields long after the beautiful yellow petals have shrivelled and died. 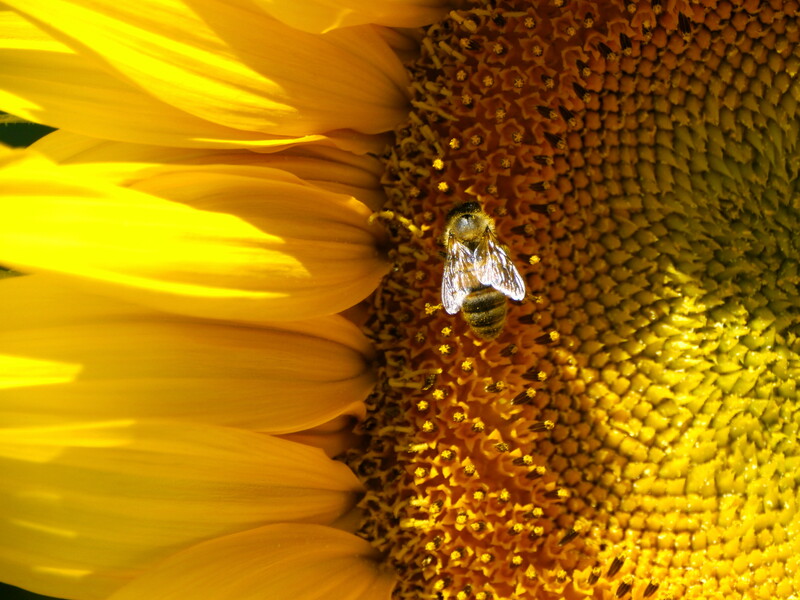 The sunflower however is now busy sorting out its seeds, which considering that it is a commercial crop, is actually the reason for its existence, its raison d’etre. The seeds will go on to be used to produce sunflower oil, to be used in cooking, as a carrier oil and to produce margarine and biodiesel. The cake remaining after the seeds have been processed for oil is used as a livestock feed. These mature flowers have droopy heads, looking at the ground, which adds to their forlorn appearance – but this reduces bird damage and losses due to certain diseases. 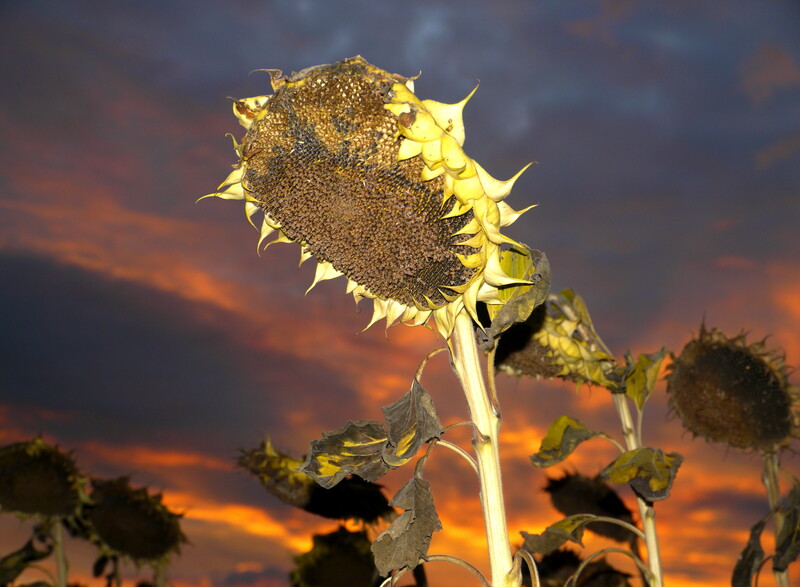 Its now early October and ‘our’ sunflowers are still there – but most of their compatriots have been gathered up and no doubt squashed and the oil extracted. I suspect Denys the farmer will be along soon with his noisy, ancient combine harvester to do the same.